Want to be a business owner, but are afraid of going at it alone? Smart thinking. At Security 101® we've already done the heavy lifting for you. We eliminate the start-up issues and trial and error process by providing you with a proven business model built around experience and support in a growth industry. Sales of private contractual security services in the U.S. will increase nearly five percent annually to $63 billion in 2014. All these advantages, with the competitive leverage of a national brand and uncapped growth, lead to your success. You Were the Job Creator, not the Job Seeker. Your Income Potential Was Unlimited and Your Hard Work Benefited You Directly. You Were a Respected Business Owner in Your Community. You Worked with Other Business Owners and National Firms. You Made a Difference Protecting People, Property and Profits, not to mention Saving Lives and Livelihoods. You Generated Your Own Substantial Retirement Income and Created Your Own Exit Strategy or Legacy. 83% of the industry growth is based on the main products/services that we provide and in which we are experts. These prime bread-and-butter services include Access Control, CCTV, and Integrated Systems. 30% of security integrators had an estimated gross sales revenue of $1M-$4. 9M with a median for ALL security integrators of $3 million. 69% of security installations were from commercial and large industrial companies, the same profitable markets that we serve exclusively. Security 101® is the fastest growing privately held National Brand security integrator in the country. 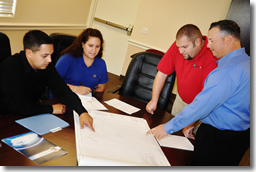 We are nationally recognized for our high quality security installations and unparalleled customer service. As a Security 101® business owner, you'll receive full training, the credibility and backing of a national brand to open your business and start providing Access Control, Video Surveillance, Intrusion Alarm and other Managed Services Solutions. Growth Industry - Businesses need your services, and in many cases are mandated to have these security systems in place. Business-to-Business - By this we mean you are running a business for businesses, predominantly Monday-Friday, allowing you the freedom to spend nights and weekends with your family. Protected Territory for Uncapped Growth - Unlike most franchises, we only want 101 franchises operating in the U.S., which allows you uncapped growth. 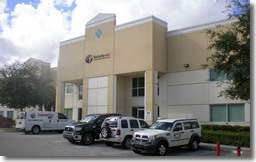 Comprehensive Training - Two weeks comprehensive classroom training at our headquarters in West Palm Beach, Florida, and three weeks field training at your location. You'll get a checklist of everything you need to do to open your business. Business Management Tools - A software system that handles everything in terms of database, marketing, email, parts inventory, reporting and more. Buying Power - You get the buying power of a big corporation due to Security 101® partnerships and long- term industry relationships. Operational Support - Continued support for your success in all aspects of running your business, backed by our 30 years' of field experience and profitable management. Proven Marketing - Full marketing and co-op advertising and support. National Sales Division - Responsible for securing and retaining National accounts and business contracts for our franchisees. As a Security 101® business owner you can feel good every day knowing your business is protecting people, property and profits with superior products, best practices and outstanding customer service. If you have an aptitude for technology and/or business, are financially able to own a business, and have solid leadership qualities, we'd like to hear from you. Click on Request Information button above for FREE information on how to start a Security 101 franchise today! Please Note: Security 101 opportunities for sale, and other franchise opportunities, business opportunities, businesses and franchises for sale on this web site are not to be considered as an "offering", "franchise offering", suggestion or recommendation by GlobalBX. The franchises, businesses and business brokers seen on this web site submit their own individual content. This advertisement depends entirely on the truthfulness of the information provided by our advertisers which includes, but is not limited to, franchisers, franchises, franchise brokers, franchise consultants, business sellers and business brokers. As always, GlobalBX recommends that you consult a lawyer, financial consultant, accountant or professional advisor before buying a franchise or business opportunity or any type of business. By submitting this form and requesting more information, you have agreed to all terms and policies of GlobalBX and the business and franchise offerings listed here. Please review our Terms & Conditions for more information.